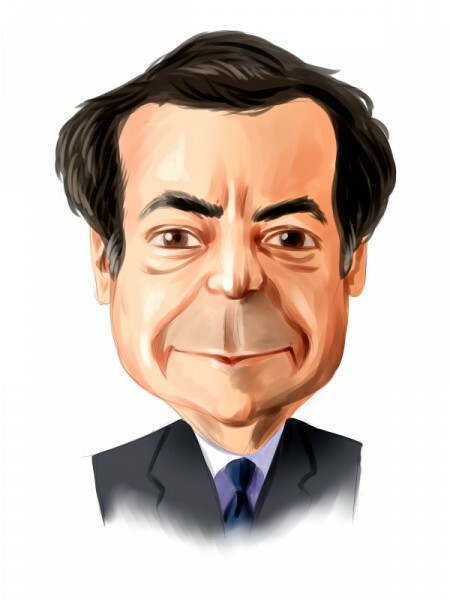 In two new filings with the Securities and Exchange Commission, John Paulson‘s Paulson & Co. and Stephen C. Freidheim‘s Cyrus Capital Partners reported stakes in Overseas Shipholding Group Inc. (OTCMKTS:OSGIQ). Paulson revealed a 19.35% stake in the company which amasses 61.38 million shares, while Cyrus Capital’s stake contains 57.77 million class A shares, equal to 18% of the class. Both stakes are passive by nature. In addition, Paulson & Co.’s filing revealed that the stake consists of some 56.43 million shares of class A stock, and 4.95 million shares of Common Stock that can be issued upon the exercise of class A Warrants. Cyrus Capital stated that its stake in Overseas Shipholding Group Inc. (OTCMKTS:OSGIQ) consist of around 49.40 million Class A shares and some 8.37 million shares that are issuable upon the exercise of approximately 8.37 million Warrants. Earlier this quarter, Cyrus Capital disclosed selling a total of 300,000 shares of Overseas Shipholding Group Inc. (OTCMKTS:OSGIQ). In August, the investor sold 250,000 class A shares at a price of 3.65 apiece and another portion of 50,000 class A shares at $3.50 apiece. Overseas Shipholding Group Inc. (OTCMKTS:OSGIQ)p is a $210 million company listed on the Over-the-Counter market. The company is involved in ocean transportation of crude oil and petroleum products, operating a fleet of tankers focused on market segments such as crude oil and refined petroleum products. Aside from Paulson and Cyrus Capital, Christian Leone’s Luxor Capital Group revealed holding some 19.88 million class A shares of the company. Luxor increased his stake by 3.0 million shares following the conversion of class A Warrants earlier in August. All the aforementioned moves have been made relatively shortly after Overseas Shipholding Group Inc. (OTCMKTS:OSGIQ) announced its exit from the Chapter 11 and the completion of its restructuring process, according to a press release. The company filed for bankruptcy in November, 2012. Following the financial restructuring, the company issued class A and class B Common Stock and Warrants for each class of stock.